Book Release Celebration for Mystery/Adventure Novel and Book Give-Away May 23 June 1: To win a mystery/adventure novel with a touch of romance, leave a comment at http://lindaweaverclarke.blogspot.com/. But thats not all! You may also be eligible to receive two free e-books as part of this contest. Mysterious events, the search for Montezumas treasure, a good-looking rogue, and family secrets! How important is it to learn about the past? Will it make a difference in ones life and the choices we make? To April, it makes a big difference. Knowing about her parentage changes her perspective of life. With a blend of mystery, adventure, humor, and sweet romance, Linda Weaver Clarke creates a story based upon the adventures of a married couple and their three daughters in Montezuma Intrigue. When a leather parchment of Montezumas map is found in great-grandfather Evans old chest, April and the twins know this summer is going to be a memorable one. The girls want to search for it but their father is against it for some mysterious reason. With Julias help, she and the girls convince John to go on a treasure hunt. Is Montezumas treasure a legend or reality? Whatever the case, John insists on keeping their little treasure hunt a secret. If certain people find out about it, the family could be in danger. 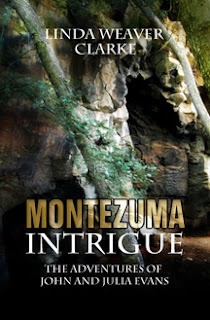 Sukos Notebook wrote, In the latest book by Linda Weaver Clarke, Montezuma Intrigue, the mysteries continue as this author entrances us with life-like characters and electrifying adventures. The search for Montezuma's treasure is both exciting and memorable--I am spell-bound! While searching for Montezumas treasure, Matthew is trying to get the courage to tell April how he feels about her. How does he tell his kindred friend that she means more to him than just a friend? Oblivious of Matthews feelings for her, April is gradually learning the importance of her heritage. Who were her ancestors and why has the family kept a certain secret all these years? 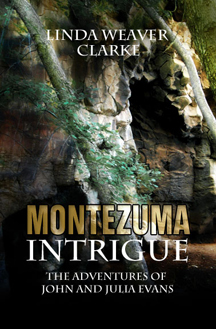 This mystery series includes Anasazi Intrigue, Mayan Intrigue, and Montezuma Intrigue. Now that the A to Z Blogging Challenge is over, along with the month of April, I need new content for the Author Exchange Blog. Check out my submission guidelines and contact me if you'd like to be a Guest Blogger. Joyce Lansky announces the release of her first story in the May issue of Appleseeds magazine. The story is titled Paul Revere's Ride: On Me and is part of their Reader's Corner. 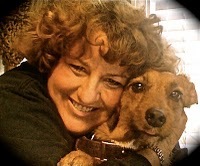 To learn more about Joyce, visit her at http://joycelansky.blogspot.com/.